Through cyber attacks and other methods, the Chinese regime has successfully stolen large amounts of sensitive information, including military weapon blueprints, from major corporations and government bureaus in the United States. 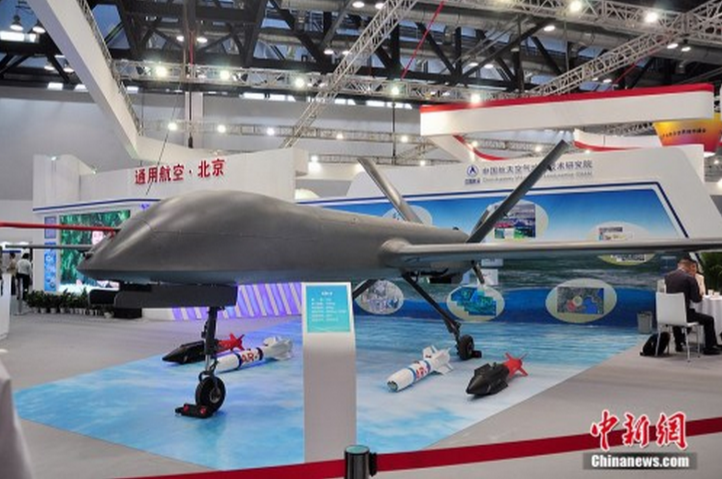 Although the Chinese military regularly boasts about their so-called cutting-edge new technology, they are still lagging behind in weapons development. But they should not be underestimated, especially considering how formidable their hackers and cyberspace operations can be. Below are some of the U.S. weaponry that China has copied—or, more often, simply stolen the plans for. In 2011, Dongfan “Greg” Chung, an aerospace engineer from Orange County, was sentenced to 24 years and 5 months in prison for spying for the Chinese regime and stealing more than 250,000 documents from Boeing and Rockwell. 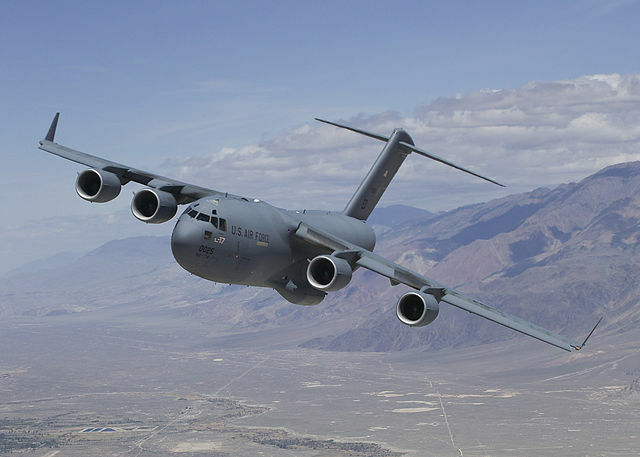 Included were designs for the C-17 Globemaster III, a Boeing freighter, which he snuck out in 2006. That same year, the Xi’an Aircraft Industrial Corporation began building the Y-20, a heavy freighter aircraft closely resembling the C-17. As noted by a congressional report in 2010, China had been having troubles developing heavy transport aircrafts. 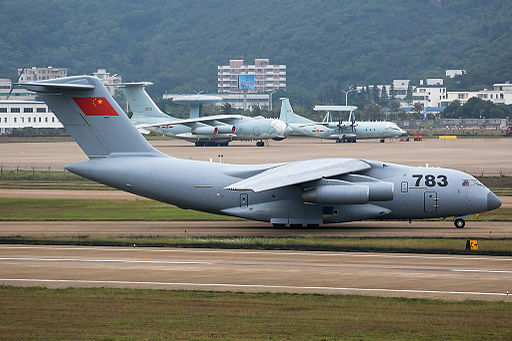 The Y-20 can carry more than 200 tons, according to military sources cited by China Daily, and fly up to 9,400 miles. It can also serve different purposes from refueling planes to transporting military equipment and significantly extend the reach of the Chinese military. In late July of 2014, China’s Chengdu Aircraft Corporation conducted a successful test flight of the Chengdu J-20, an aircraft combining designs and technology from the F-22 Raptor and F-35 Strike Fighter planes. 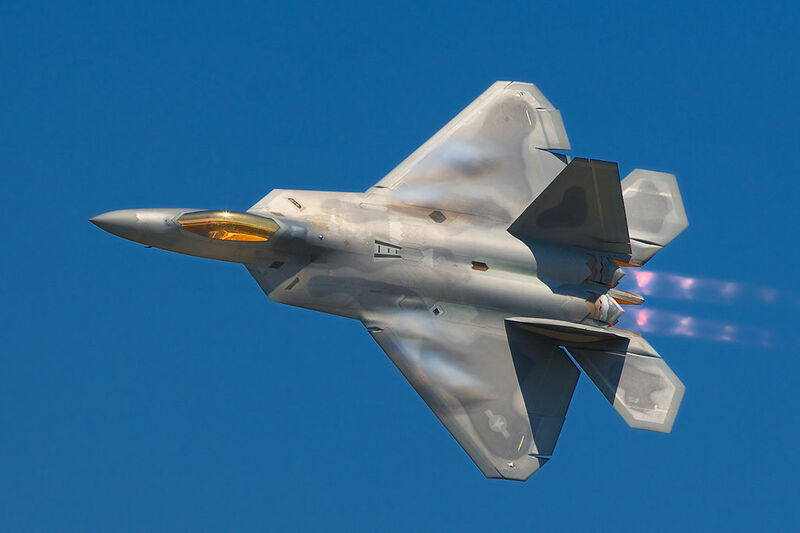 The plane has been modified several times since its first prototype in 2011, with revisions in air intake, wing size, and nose design to enhance stealth. It’s believed that information gained from cyberattacks on the U.S. military and defense contractors led to the modifications. 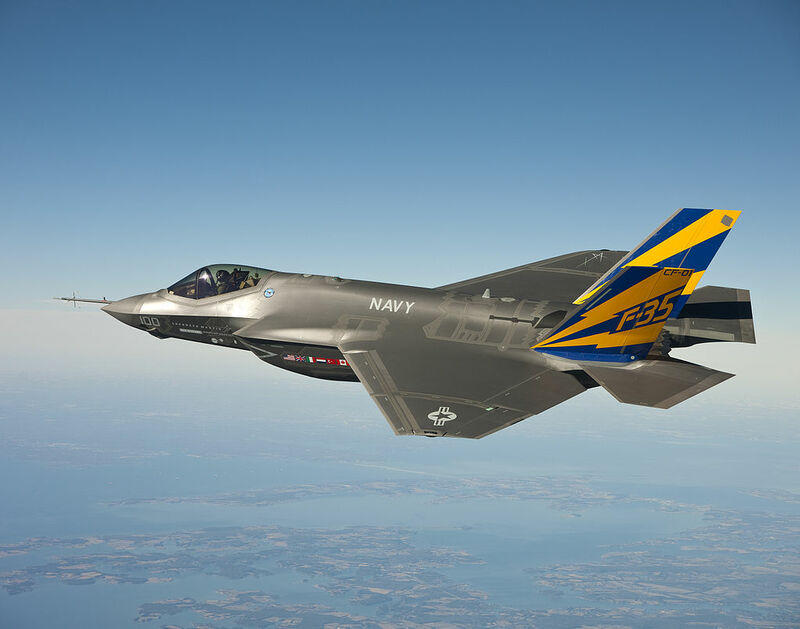 Just in July of 2014, a Chinese businessmen was arrested for stealing data from the U.S. over two dozen defense programs, including the F-35 and F-22. 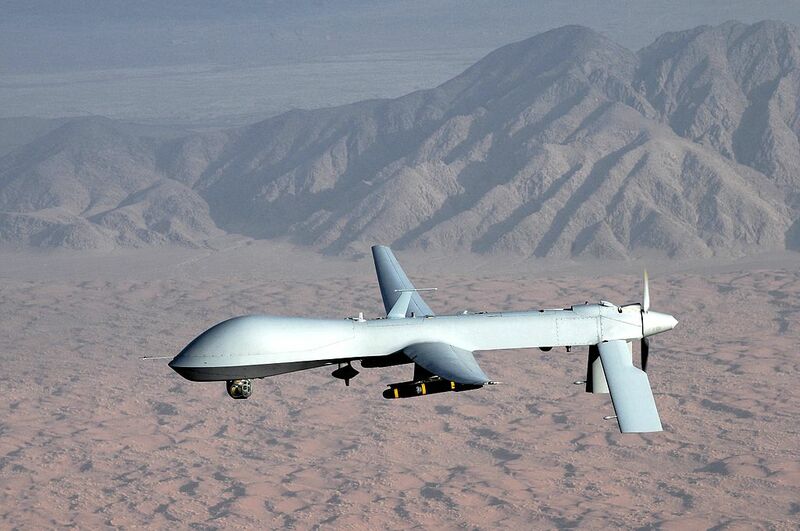 Designed and constructed by state-owned aircraft manufacturer China Academy of Aerospace Aerodynamics of the China Aerospace Science and Technology Corporation (CASC), the Cai Hong-4 (CH-4), or Rainbow-4 drone, is a multipurpose drone copying the U.S. MQ-1 Predator, although Chinese media claim the CH-4 is superior in almost every respect. 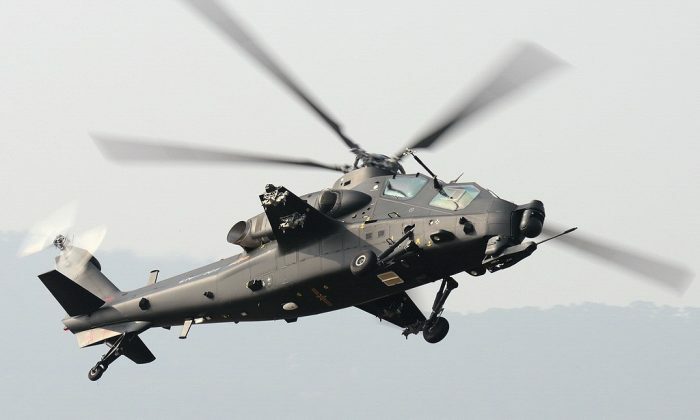 According to the People’s Liberation Army Air Force spokesperson Shen Jinke, the CH-4 is “tasked with surveillance, reconnaissance, and ground attacks [and] will play a vital role in fighting terrorism.” Chen Jongxin, a researcher for the CASC, said it can carry up to 760 pounds with an endurance of 38 hours and a maximum range of over 2000 miles. 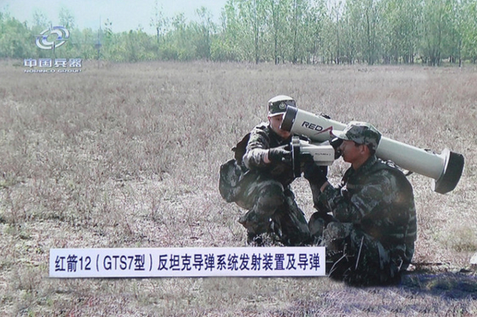 In 2014, the Chinese regime revealed their new HJ-12 anti-tank missile able to target tanks over 2 miles away, according to China Daily, a state-run newspaper. The weapon can allegedly destroy current generation tanks, including America’s M1 Abrams, Russia’s T-90, and Japan’s Type 90 Kyū-maru. It is manufactured by China’s state-owned company NORINCO, which has also been selling weapons to South Sudan, fueling the civil war there. 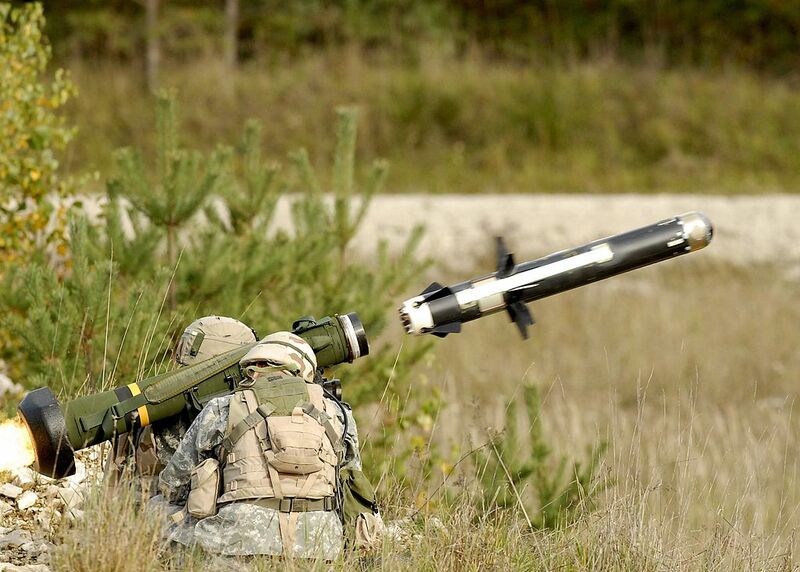 The HJ-12 is strikingly similar to the U.S. FGM-148 Javelin anti-tank missile in size, targeting systems, method of firing, and even basic design. 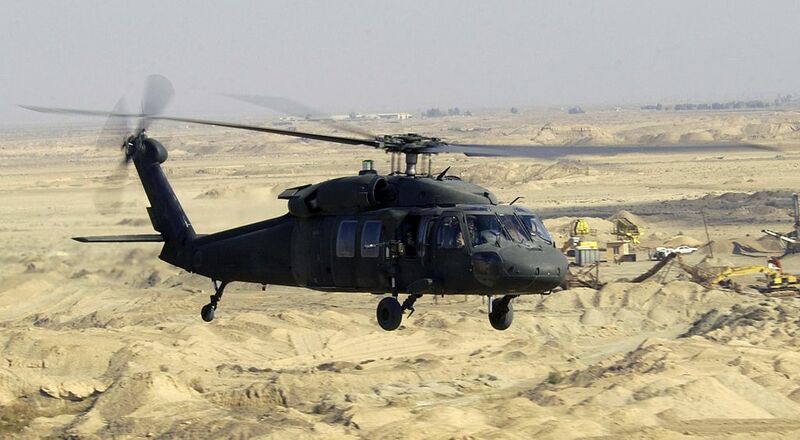 In the 1980s, China purchased a civilian version of the Black Hawk, and Pakistani intelligence gave the Chinese regime access to a Black Hawk. Some speculate the supposedly “original” design borrowed liberally from U.S. designs, while retaining a few notable differences like the 5-blade rotor, a larger cabin, and a different landing gear and tail, according to the Aviationist. In the late 1980s, AM General, a major vehicle manufacturer based in Indiana, wanted to sell the High Mobility Multipurpose Wheeled Vehicle, also known as the Humvee, to the Chinese People’s Liberation Army (PLA). The PLA rejected the offer, and AM General left one Humvee in China before they left. 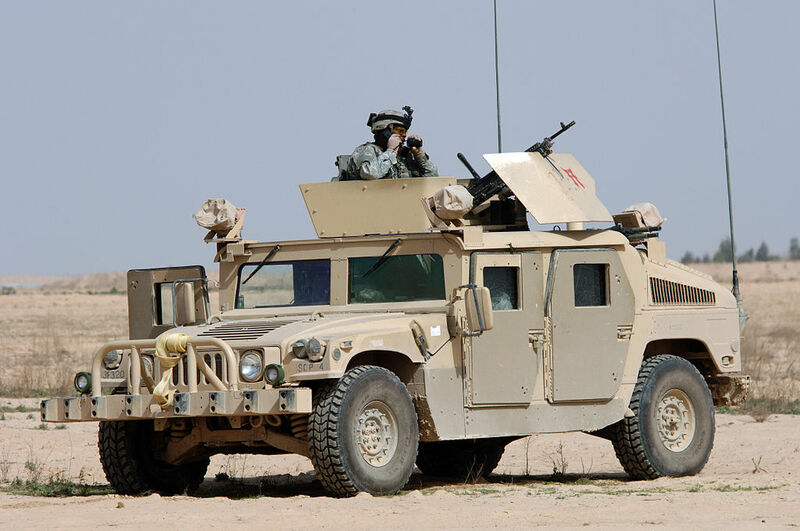 After seeing the Humvee’s abilities to cross deserts during the Gulf War in 1991, the Chinese military regained interest in the vehicle and gathered the few civilian Humvees that Chinese oil companies had bought in the 1990s as well as the one AM General had left in the mainland. Using reverse engineering, they built a prototype and named it Dongfeng EQ2050. AM General sold them car parts to make the Humvee starting in 2004, and AM General also developed operations to make the parts themselves. The only problem was the engine, which was licensed by Cummins. The United States had an arms embargo against China since 1989, when the Chinese regime massacred dozens of pro-democracy students at Tiananmen Square, so US companies were not allowed to sell military goods to China, including any parts used to make the weapon. The exception was “dual use goods,” objects that could be used by civilians and the military. The Chinese regime therefore made a civilian version of the EQ2050, so that Cummins could sell them the engine (although no civilian could actually purchase the vehicle). 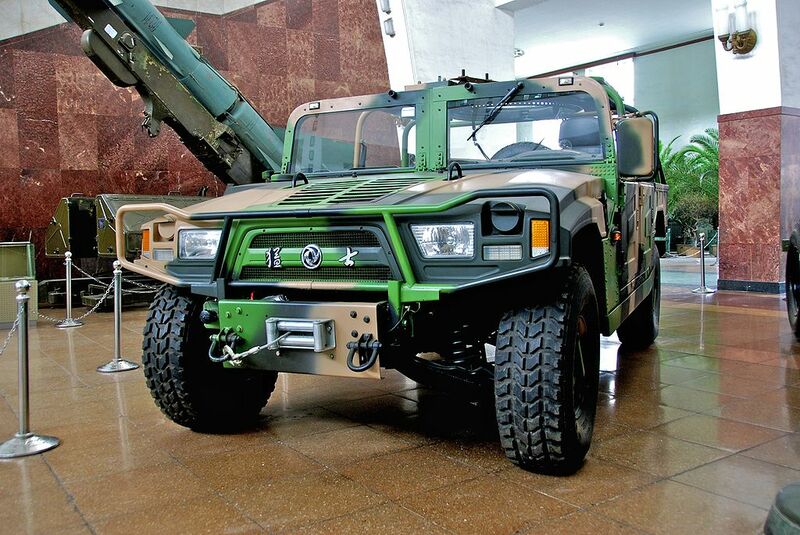 The Dongfeng EQ2050 is now widely used by the Chinese police and military. 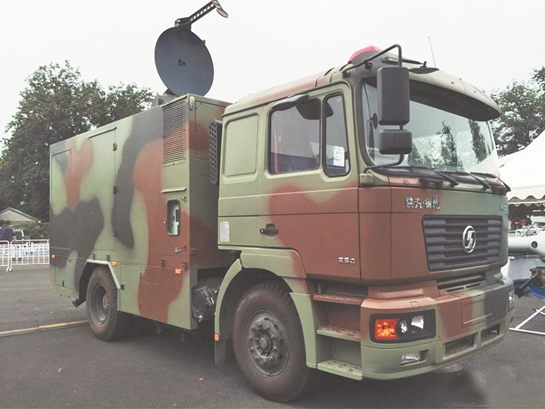 Two weeks ago, the Chinese regime showed off its new microwave crowd-control weapon at a military technology exhibition. Mounted on a truck, the WB-1 millimeter-wave beam constructed by the China Poly Group Corporation fires non lethal beams on microwave frequency, heating up the water molecules just beneath the skin and making people feel a painful, burning sensation. 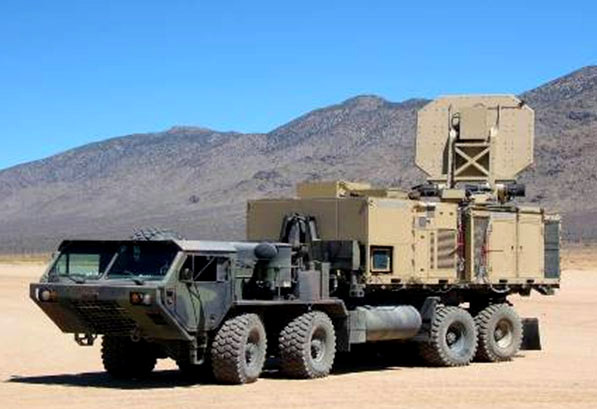 The weapon replicates the function and purpose of the Active Denial System (ADS), designed by the American defense contractor Raytheon. The ADS was deployed in Afghanistan in 2010, but was never used. State media say the WB-1 has a range of 80 meters, and it can be enhanced to reach 1 kilometer. It can be used as a riot-control weapon by police, making it dangerous for civilian protesters or dissidents in China. China authorizes offensive air defense, deploys weapons as situation heats up.